Vineyard: Cru Bricco Boschis - Nebbiolo with Barolo 100 %, coming the vine estates Colle Sud Ovest, Punta Marcello and San Giuseppe. Ageing: in traditional oak barriques of Slavonia for 3 to 3,5 years. Refinement: in bottle for 6 months up to one year. Organoleptic characteristics: the perfect structure but with tannins already soft and open and intense perfumes that give to this Barolo characteristics of power and great elegance. Complex and fragrant when drunk young but with great potential for the ageing. Gastronomic pairings: red meats generally, grilled fish or grilled white meats, hard cheeses or seasoned cheeses, chocolate. "Jeannie Cho Lee" has rated the wine "Cavallotto Bricco Boschis, Barolo DOCG, Italy" from the vintage 2012 on 01.03.2016 with 92 of 100 points.
" This is an intense Barolo with lovely palate weight filled with dark cherries, rose petals and black tea leaves. A full bodied, intense red with good color for a Nebbiolo. Tannins are very well handled and there is a softness to the finish despite the tannins being high and very firm. " "Jeannie Cho Lee" has rated the wine "Cavallotto Bricco Boschis, Barolo DOCG, Italy" from the vintage 2007 on 01.11.2015 with 90 of 100 points.
" Young, well made Barolo with classic tar and roses on the nose with dark fruit and savory herbs on the palate. Tannic, vigorous with firm, dry tannins in the finish. Best to keep a few more years before drinking. " "Doctorwine" has rated the wine "Cavallotto Bricco Boschis, Barolo DOCG, Italy" from the vintage 2008 on 27.09.2012 with 93 of 100 points.
" A highly traditional Barolo from one of the most classic wineries in the district that has existed for over 60 years. It has a typical luminous garnet color and a bouquet that Veronelli used to call ''Barolo breath''. There are spicy notes and then those of violet, a touch of licorice, currant and mulberry. The taste has great character, flourishing youthful tannins that are neither aggressive nor dry out. The flavor is warm, wrapping yet taut, austere, with a long, almost severe finish. " "Wine Spectator" has rated the wine "Cavallotto Bricco Boschis, Barolo DOCG, Italy" from the vintage 2012 on 30.04.2017 with 94 of 100 points. "Falstaff Magazin" has rated the wine "Cavallotto Bricco Boschis, Barolo DOCG, Italy" from the vintage 2012 on 25.11.2016 with 95 of 100 points. "The Wine Front" has rated the wine "Cavallotto Bricco Boschis, Barolo DOCG, Italy" from the vintage 2010 on 25.07.2016 with 95 of 100 points. "Luca Gardini" has rated the wine "Cavallotto Bricco Boschis, Barolo DOCG, Italy" from the vintage 2012 on 01.07.2016 with 90 of 100 points. "Wine Enthusiast" has rated the wine "Cavallotto Bricco Boschis, Barolo DOCG, Italy" from the vintage 2012 on 09.01.2016 with 95 of 100 points. "Vinum Wine Magazine" has rated the wine "Cavallotto Bricco Boschis, Barolo DOCG, Italy" from the vintage 2011 on 01.11.2015 with 16 of 20 points. "Wine Spectator" has rated the wine "Cavallotto Bricco Boschis, Barolo DOCG, Italy" from the vintage 2011 on 30.09.2015 with 93 of 100 points. "Wine Spectator" has rated the wine "Cavallotto Bricco Boschis, Barolo DOCG, Italy" from the vintage 2010 on 30.04.2015 with 93 of 100 points. "Wine Enthusiast" has rated the wine "Cavallotto Bricco Boschis, Barolo DOCG, Italy" from the vintage 2011 on 10.01.2015 with 95 of 100 points. "Falstaff Magazin" has rated the wine "Cavallotto Bricco Boschis, Barolo DOCG, Italy" from the vintage 2010 on 21.11.2014 with 92 of 100 points. 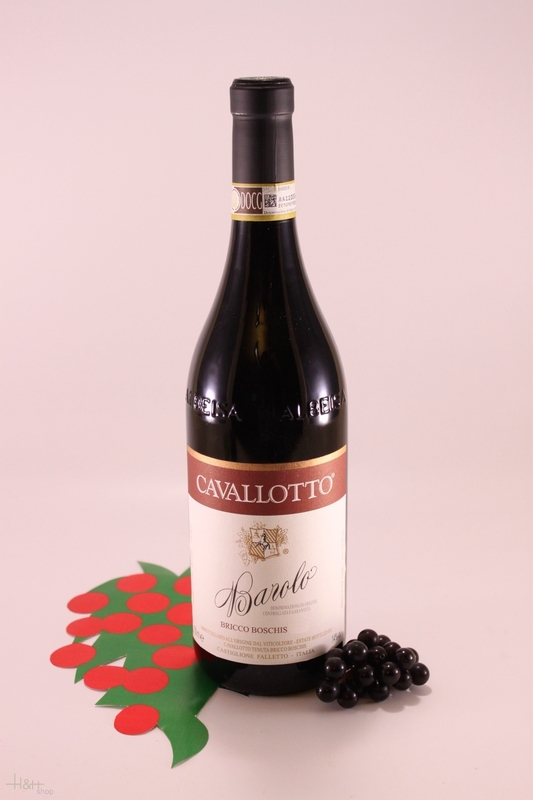 "Robert Parker The Wine Advocate" has rated the wine "Cavallotto Bricco Boschis, Barolo DOCG, Italy" from the vintage 1990 on 01.07.2014 with 96 of 100 points. "Robert Parker The Wine Advocate" has rated the wine "Cavallotto Bricco Boschis, Barolo DOCG, Italy" from the vintage 2010 on 01.07.2014 with 96 of 100 points. "Luca Gardini" has rated the wine "Cavallotto Bricco Boschis, Barolo DOCG, Italy" from the vintage 2010 on 01.07.2014 with 93 of 100 points. ready for shipment: in stock South Tyrolean venison raw ham Bernardi K. approx. 350 gr.